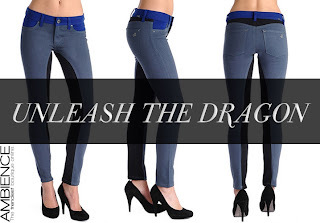 DL Nineteen Sixty One Emma Jeans in Dragon has taken the hot trend of color blocking to a chic versatile level. The jean uses color blocking to contour, curve and shape your leg and bottom. These jeans will transition from the office to fun effortlessly.